How do you apply BedBug Plus to a room? How do you you apply it? I found one bed bug in a full bed in one room. I have suffered fom bug bites for weeks. I check the matteress, box spring, bedding & saw no evidence of bed bug infestation. I am interested in BedBug Plus. Basically, with Bedlam plus, you treat the mattress, box springs, the bed frame, etc. Spray everything with a fine mist. Don't overapply. Also, be sure to spray up inside the box springs, this may require you to remove the felt cover from the bottom of the box springs. A pair of pliers and a flat blade screwdriver can help remove the staples to remove the felt cover. Then use the mattress encasements to cover the mattresses after you have sprayed them. 1 can will do 1-2 bedrooms depending on how much you use. 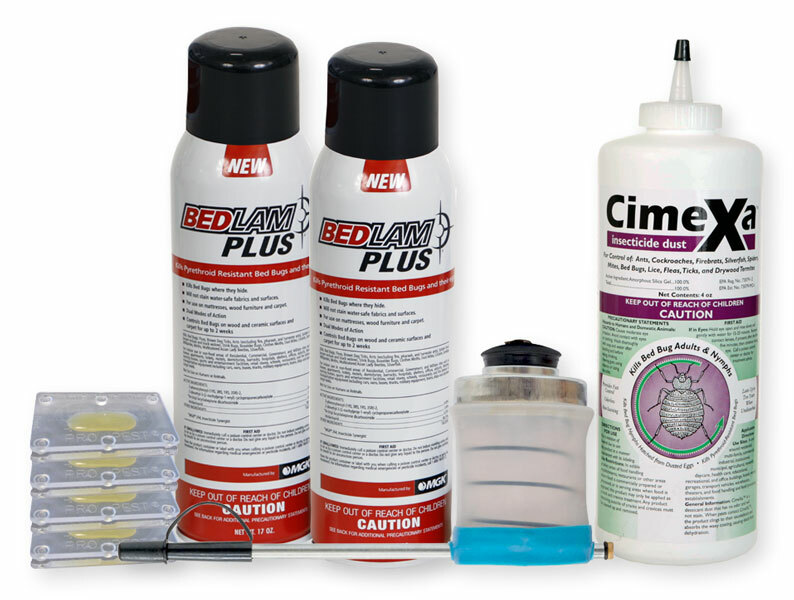 We also sell a bed bug control kit.